How did you do? If you got the right answer for all three questions, you seem to know your history. Let me ask some other questions. 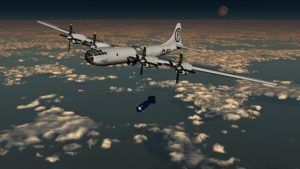 Why didn’t the US drop the second atomic bomb on the primary target? This question is probably more difficult to answer. 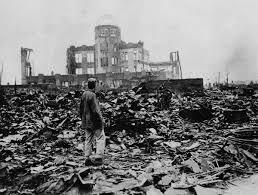 To understand the answer consider the following first-hand report about the dropping of the second atomic bomb. The American bomber was a B-29 named Bock’s Car, and it was supposed to drop the world’s first plutonium bomb on Kokura. Three times, Bock’s Car passed over Kokura, bomb bays open, a hum in the cockpit signaling that the bomb was ready for release, the crew wearing the special goggles that were supposed to protect them from the flash of the atomic explosion. But although the radar scope was locked on to Kokura, the orders were to drop the bomb only on visual identification of the huge arms factory that was the target. A young man named Kermit Beahan peered through the rubber eyepiece of the bombsight, and he could see some of the buildings of Kokura and the river that ran by the arms factory. But the complex itself was blocked by a cloud. So Bock’s Car gave up on Kokura and went on to its secondary target, Nagasaki. Clouds also partly obscured Nagasaki, but not quite enough of it. Wow, one cloud over an arms factory caused the crew to bypass the primary target and move on to the secondary target of Nagasaki. One reporter wrote, the cloud that blocked Mr. Yoshio’s view that morning was the best thing that ever happened to the city of Kokura — and the worst that ever happened to nearby Nagasaki. Okay, let me ask you some more questions about another battle at another time in history and see if you know the answers. This battle was the Egyptians’ effort to overtake and recapture the Israelites. I hope you knew the answers to these questions or followed the “hints” to find the answers. Here are the correct answers. God led the Israelites around the land of the Philistines because He did not want them to get discouraged and turn back if they faced war. The Lord led them by a pillar of cloud during the day and by a pillar of fire at night. God moved the pillar of cloud in between the Egyptian army and the Israelites so the army could not come near them. The Lord caused the the waters to go back by sending a strong east wind. It took all night for the waters to divide. God caused the Egyptian chariots wheels to be uncontrollable and the army couldn’t maneuver them. 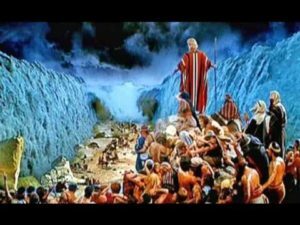 God directed Moses to stretch out his hand over the sea and He caused the waters to return to their normal state. Well, how did you do on this quiz? So, what is the point I am trying to make by asking you questions about these two battles that took place in history? To understand my intention behind this exercise, I have to ask you one more question. What is the major difference in the sets of answers to the two series of questions? I hope everyone got this question right. After all, it is the most important question asked in this blog post. The correct answer to this question is God was left out of all the answers to the questions related to the dropping of the atomic bombs but He WAS the ANSWER to each of the questions in the second battle. 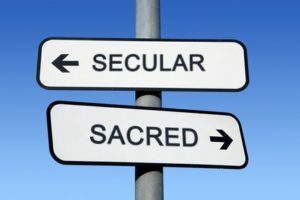 By asking you questions related to these two battles, I have attempted to illustrate how most Christians operate from a dualistic worldview. The answers and explanation given about the dropping of the atomic bombs during World War II are completely secular responses. It is true that the answers and the explanations were “factually correct” but they weren’t “truthful”. Consider the following statements by Albert Mohler and John Piper. I wonder how many of you thought that the questions related to dropping of the atomic bombs explained “history” while the second event was merely a “Bible story”. Secular education must be avoided at all cost! What do you think? Leave a comment below. More committed than ever to teaching a Biblical worldview. Thank you Glen for continuing to give us (Christian School Leaders) ammunition to fight this battle for the children of this next generation. You have a real gift of presenting these ideas in such clear ways. A great illustration of God’s hand in History, thanks Glen. Equally remarkable from the same war are the circumstances surrounding what a well known non believing historian called “The Miracle of Dunkirk”. Add to that the astonishing, brief weather change that permitted the D Day liberation plus something similar that opened the door for Nazi forces to be driven out of North Africa and you have some pretty compelling evidence for the hand of God in recent history. 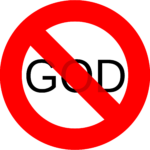 (and it’s no good to try claiming, ” yah but, every country says God is on its side.” Fact is that Nazi beliefs and actions were incontrovertibly evil – even by the standards of those confused souls who fancy themselves to be ‘non-judgemental’.) There’s lots more examples of course. W.B. Grant listed some of them in his book “We have a Guardian”. The truly pathetic thing is that secular education won’t allow students to learn such things. Remember when some Christians used to say that Christian school students are sheltered from reality? Turns out that it’s the children in secular schools who are really and tragically sheltered.